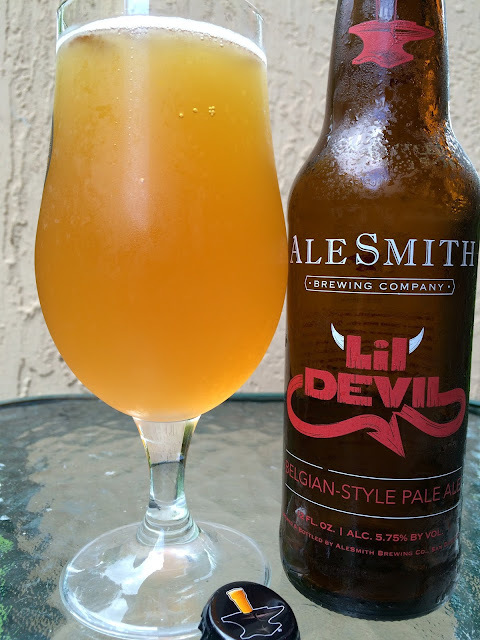 Today I'm checking out another Brewery Direct beer available at Florida Total Wine Stores: AleSmith Lil' Devil, a Belgian-Style Pale Ale. The beer name incorporates some horns and a devil's tail, but whatever, no real design. 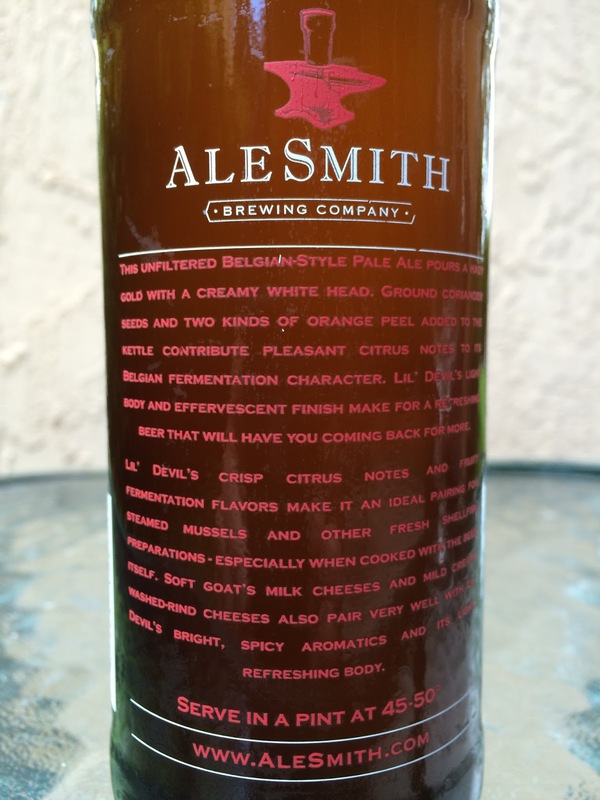 There is a story on the back of the bottle, pretty much zero point font. Blow it up in the picture below before going crazy with your eyes. That micro-story sets your expectations, a beer brewed with coriander and two kinds of orange peel. It also suggests some food pairings including mussels or other shellfish, especially those dishes cooked in the beer. BO 7/19/16. 5.75% alcohol. Sweet orange, almost TANG-like aroma, with a hint of yeast. Citrus orange, orange-ade flavors to start. I was expecting a big coriander tag but it was just right, not overdone. Sweet to start but matched with plenty of hoppiness. Belgian yeast character is definitely at the forefront for most of your experience, even with a light funk. Lightly tangy, flavorful, easy drinker, nice lingering flavors. Check it out!